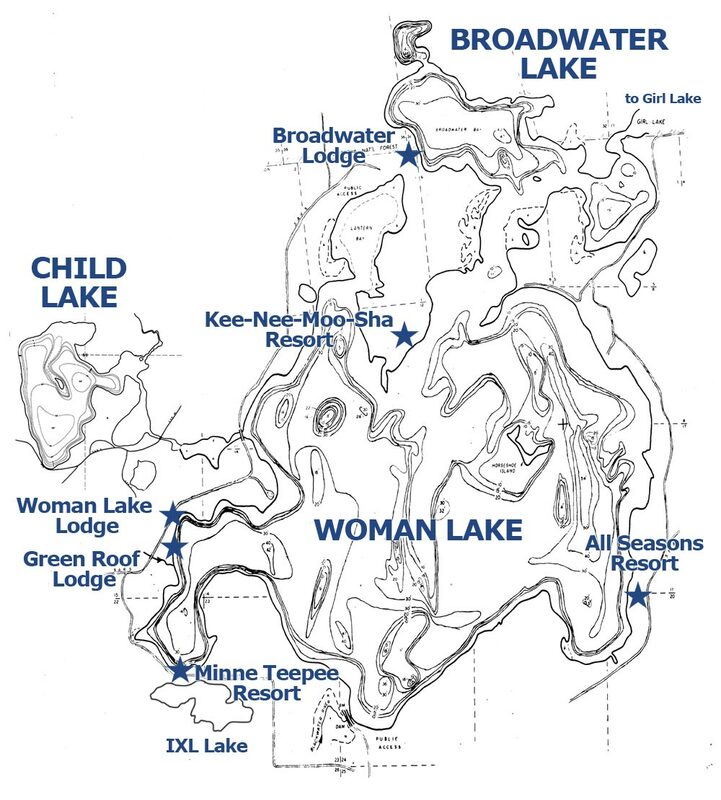 Woman Lake Chain: One of the most popular chain of lakes in Minnesota begins on the shore of Longville. Guests to the three lakes can travel by boat to downtown Longville. The three lakes boast some of the area’s best fishing and water recreation. Fishing is good all year long with a wide variety of species available. Walleye is the most popular fish caught on the chain, but Muskie, Large Mouth Bass, Northern Pike, Sunfish, Crappies and Perch are also abundant.